Royal Enfield Classic 350 is the best selling model of the company in India and it is the entry-level model also. In October 2018, the company sold 46,148 units of Classic 350 compared to 48,469 units in the same month last year and registered 5 per cent negative growth but the biggest gainer in October for RE was Thunderbird 350. RE sold 7,129 units of Thunderbird 350 in October 2018 and registered 84 percent growth as the company has sold 3,880 units in the same month last year. In September 2018, both these bikes experienced the same level of growth as Classic 350 sales again went down by 8 percent but the Thunderbird continued its upward momentum with 82 percent growth. The Classic 350 is one of the consistent performers in the industry as the bike sales are always between 40,000 and 50,000 units monthly. 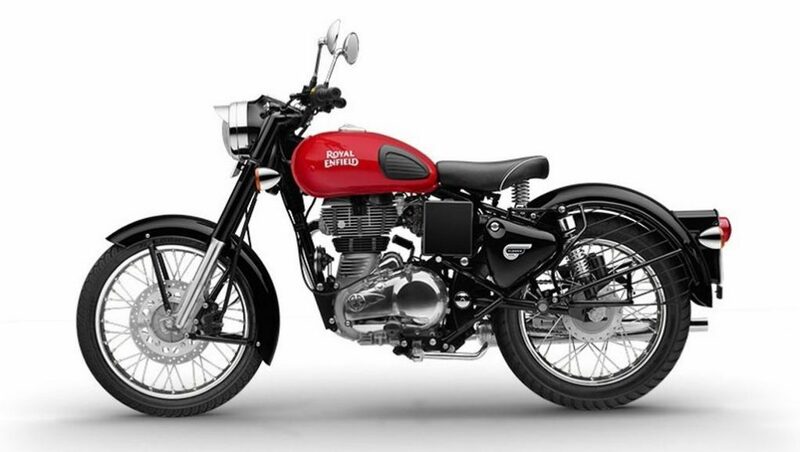 Royal Enfield has introduced ABS safety feature in both Classic 350 and Thunderbird 350 as according to new safety rule, all bikes above 125 cc must come with ABS system. The ABS model doesn’t come with any changes and the company has given a dual-channel unit for all models even though it increases cost slightly compared to the single channel unit used by some of its competitors. Royal Enfield has earlier confirmed that they will gradually introduce ABS option in all models. 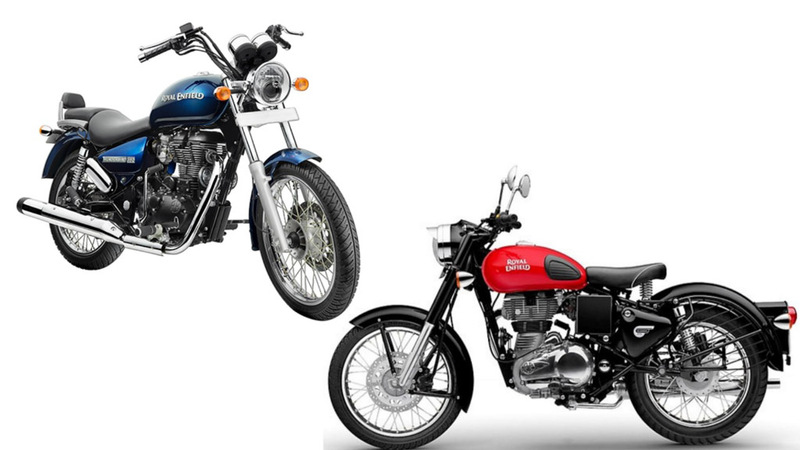 Both Classic 350 and Thunderbird 350 are powered by same 346 cc single cylinder engine producing 19.8 bhp of power at 5,250 rpm and 28 Nm of torque at 4,000 rpm. This engine is mated to a 5-speed gearbox. The braking system is also same as the front get 280 mm disc brake and rear get 240 mm disc brake. The company has given 19-inch front wheel and 18-inch rear wheel for both bikes but the Classic 350 come with 90/90 section front tyre and 110/90 section rear tyre while the Thunderbird 350 come with slightly wider 120/80 section tyre at the rear. The Classic 350 price starts at Rs. 1.39 lakh and Thunderbird 350 at Rs. 1.50 lakh (both prices, Ex-Showroom).